Do you remember yesterday when I gushed about this wonderful new book sent to me by Lark Publishing? Well, I have to confess that I couldn't bear to part with Creative Quilting with Beads. Lucky me and you...I begged, and Lark sent me another copy specifically to give away! 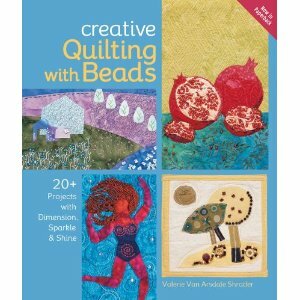 Would you like a copy of Creative Quilting with Beads? Just leave me a comment below and you'll automatically be entered to win. If you tweet or post on Facebook or other social spots about the contest, you can leave a second comment and be entered twice! This book sounds fantastic. Please enter me in the drawing! Your post yesterday got me all excited. This sounds like it would be a good book to have, especially for someone like myself who is new to bead embellishment and quilting. Please put me in the drawing, thanks! Oh please drop my name in the hat...if you loved the book so much it must be worth wishing for! I would love to have this. My only problem would be deciding whether to give to my quilting friend or keep it for myself! Looks like a great book. I'm a beader but not a quilter. This book would give me an opportunity to stretch myself. Hi There..I would love to win this book..I also have a giveaway going on at my place..Id love if you enter too..I just added you to my reader..it has been down for a while but now have everything up and running..have a great day..! I've read about this book and it looks like something I would for sure use. I like beading on fabric and using it to enhance my embroidery. Would love to see the ideas in this book. Thanks, Cyndi! Thanks for the heads up on this publication. 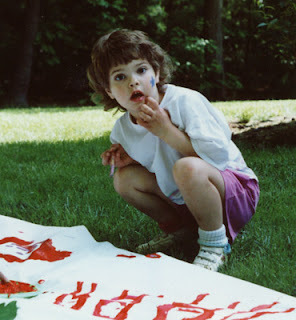 I really do need one more tool to add to my techniques toolbox for art quilting. I love to find new ways to make quilts. What a great book!